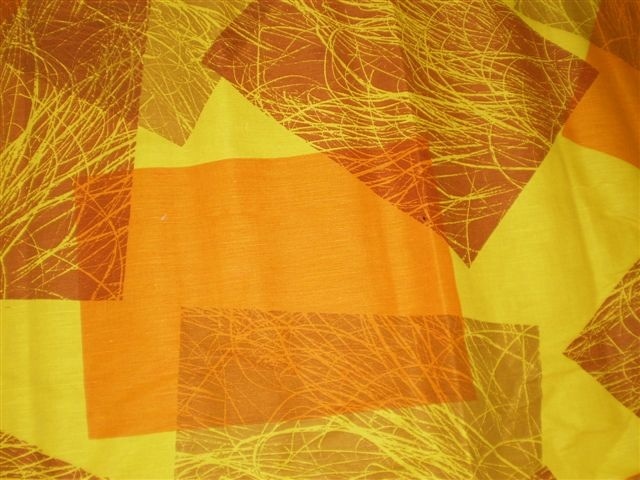 Well, this hand-printed linen is just fabulous. Reminds us that it hasn’t always been winter – one day not so long ago it was autumn. And one day soon it will be summer. And I can stop wearing two layers of merino, coat, hat and gloves every time I leave the house (oh and two scarves last week). It’s upholstery fabric – we’ve got a whole stand of it at the next FBB, and there’ll be rolls of all sorts of yummy fabric for your projects.